Holiday time can be learning time! 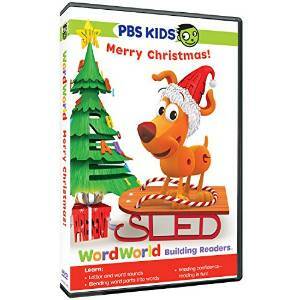 I love the Word World show and we are loving this new DVD - Merry Christmas! What a perfect holiday treat for my budding reader to practice his reading skills and improve on them - without even realizing it! About Word World: Merry Christmas! You can purchase your copy of Word World: Merry Christmas! at your local retailer or online at stores like Amazon!